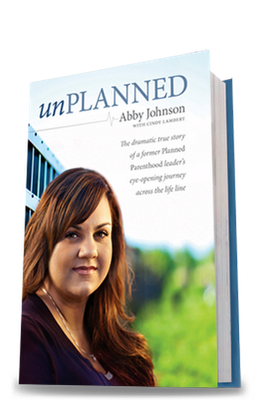 Book description: "Abby Johnson quit her job in October 2009. That simple act became a national news story because Abby was the director of a Planned Parenthood clinic in Texas who, after participating in her first actual abortion procedure, walked across the road to join the Coalition for Life. Unplanned is a heartstopping personal drama of life-and-death encounters, a courtroom battle, and spiritual transformation that speaks hope and compassion into the political controversy that surrounds this issue. Telling Abby’s story from both sides of the abortion clinic property line, this book is a must-read for anyone who cares about the life versus rights debate and helping women who face crisis pregnancies." I think this book is a MUST-READ for ALL ADULTS. Whatever your "side" on the abortion debate is, this book will give you new insight. I could not put this book down. The book opens with a turning point in Abby's job as a director of a Planned Parenthood clinic in Texas; actually assisting in an abortion. She then takes the reader back to the beginning. Starting as a college student volunteer at Planned Parenthood, she shares her ideals for helping women, especially those in crisis. As she moved up the ranks within Planned Parenthood, her ideals didn't change, but her eyes were opened to massive money-making machine that Planned Parenthood is. The silent love and constant visual witness of those from the Coalition for Life drew her in. The real beauty of this story is the eyes of faith from which it is told. It is not just another news story. It is a story revealing the power of prayer, the plans of God and the way He interacts in the heart of EVERY person He creates and loves. I have had the privilege of praying outside of abortion clinics before, but this book renewed my desire to be present on a regular basis at the abortion mill in my town. If we don't show up, who will speak for the unborn? If we don't show up, who will really care for the women in crisis? If we don't show up, our silence will speak for us. Won't you show up and join me for silent prayer? I understand most abortions are performed there on Thursdays 9 am to noon. The Feast of St. Patrick is a very special feast to Irish and Non-Irish alike. My father's side of the family, the Kavanaughs, came from Ireland and were very proud of their Irish heritage. Hearing the singing of "Christ be beside me" from the writings of St. Patrick, brought tears to my eyes today as I thought of all the Irish immigrants including my great-grandparents. I thought of all the Irish priests who came to the "mission" territory of the United States and thanked God for our own pastor emeritus, Msgr. Bernard Caverly. Click here for the tune of "Christ be beside me"
Christ above me never to part. Christ in my rising light of my life. The Light is on For You initiative highlights the importance of the sacrament of reconciliation in the life of Catholics and increases its availability, hoping that every Catholic will visit this source of God’s mercy and healing love. On Thursday, March 31, from 5-8 pm, the priests of the diocese of St. Petersburg are going to be opening EVERY church and chapel with the sacrament of Penance available in all churches. During the season of Lent, we want to be prepared. Making a good confession regularly is one of the many steps we can take to try to be ready. The Light Is On For You initiative, and the sacrament of Reconciliation, are gifts this Lent to all those that will join in our celebration of Easter and those that want to experience a deeper relationship with the Savior. The Archdiocese of Boston has set up a website, www.TheLightIsOnForYou.org, with material to help with personal preparation for the Sacrament of Reconciliation. Please make plans to come and invite others to take advantage of this great opportunity to be reconciled with and begin anew a journey in faith during the Lent season. This will be my 46th Lent. For me, a busy wife with six children, it helps me focus. Seeing the big picture helps me make sense of the details. Looking over these gospels, I see God's pattern for us of cross and resurrection, of failing and raising, of being away from Him and being drawn in. It gives me hope. 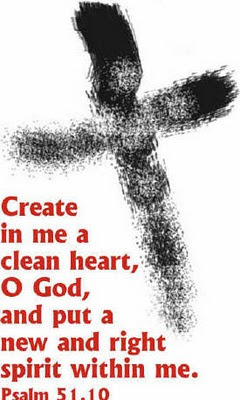 One of the things I hope to do this lent is weekly confession. I think we can better see our sins and be accountable for them but making a more frequent examination of conscience. AND the grace of confession is a fresh breeze! God's grace not only forgiving the past, but strengthening for the future. None of us know how many Lents we will have in our life time. So let's make this the best one yet!